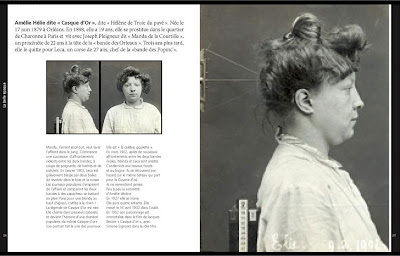 If you are a fan of the illustrious history of human classification systems based on physical measurement, you might enjoy E-L-I-S-E's recent collection of visuals related to Alphonse Bertillon (1853—1914), creator of "anthropometry" the mugshot, and the conventional crime scene photograph. You can visit the original post, from which the above images are drawn, by clicking here. You can find out more about Bertillon by clicking here. Yes I am fan of the illustrious history of human classification systems based on physical measurement and I am enjoying E-L-I-S-E's recent collection of visuals related to Alphonse Bertillon.